Our Wall Tie Replacement Southampton services can help with any wall tie problems you may be having. Cavity wall ties are essential to the safety and stability of cavity walls. They are originally put in place as the walls are being constructed. Over time the original ties can start to fail and will need to be replaced by a professional. As members of the Wall Tie Installers Federation you can rest assured that we will carry out all work to the highest of standards. As members of the Structural Repairs Association we also carry out crack stitching and lintel repair work. 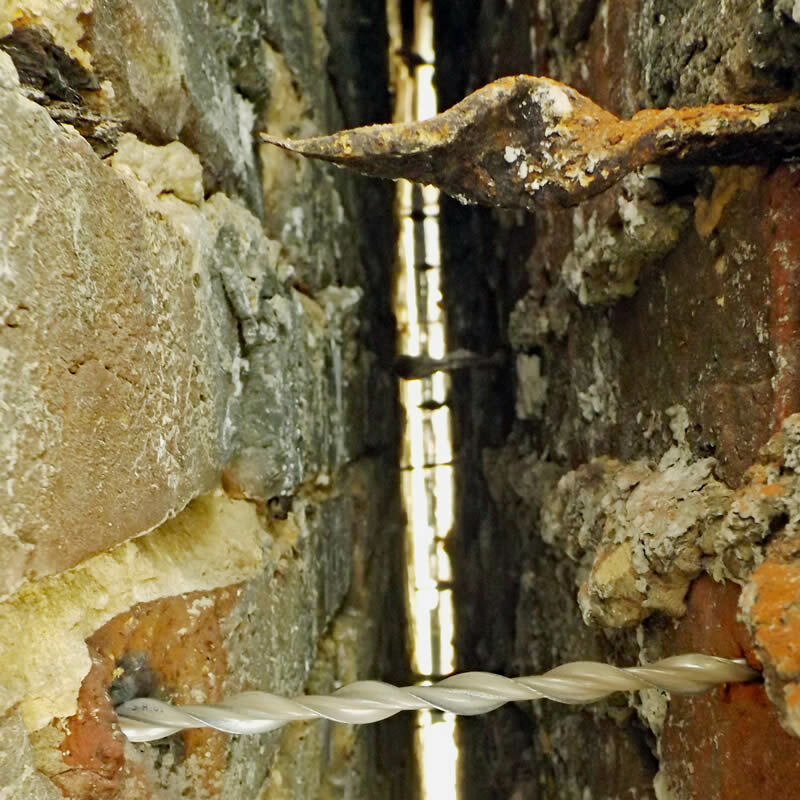 If you would like to find out more about our Remedial Wall Tie Installation services then please don’t hesitate to get in touch today and we will be happy to help. Alresford, Brockenhurst, Eastleigh, New Forest, Romsey, Stockbridge and Winchester are all fall within the area covered by our Southampton Wall Tie Replacement surveyor.